Buenos Aires is an intoxicating city; it is a city riddled with history, politics, dance and culture. The resident’s of Buenos Aires are called Porteños and are known for their renegade attitude, their love of life and being proud of the city they call home. Buenos Aires is a city that never sleeps and no matter what you’re looking for, this city is sure to have it for you. 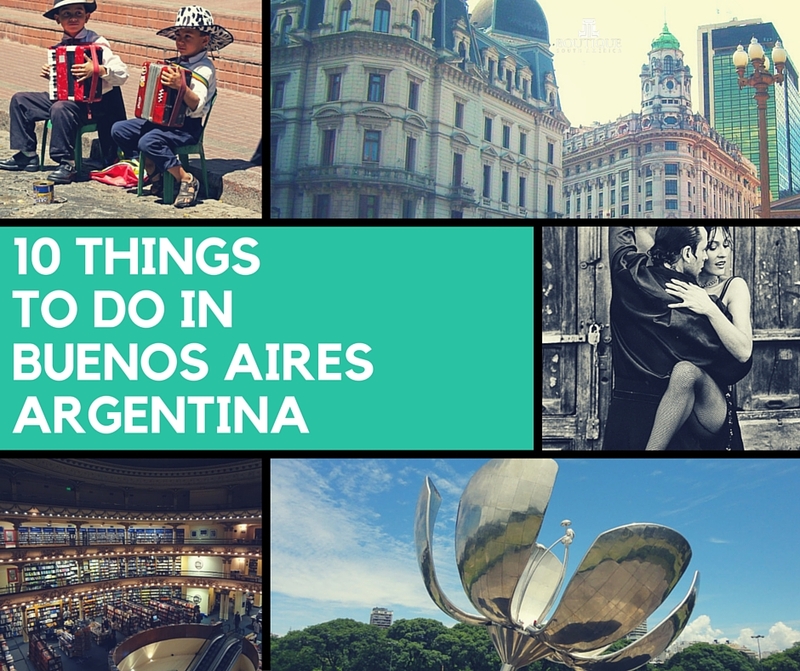 There are so many reasons for this city to make your South American Bucket list and here is a list of the top 10 Things to do in Buenos Aires, Argentina not to miss. 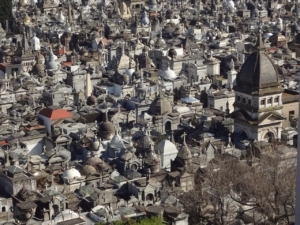 Whether you’re looking for a beautiful setting for your afternoon stroll, or you’re intrigued by Eva Peron’s grave site, the magnificent Recoleta Cemetery is a place not to miss. 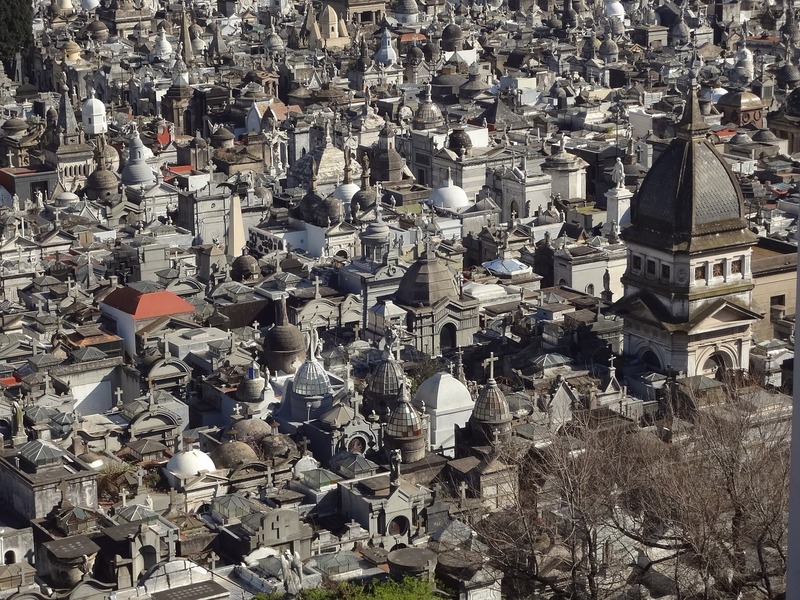 Filled with intricate mausoleums with some impressive stonework, a walk through this cemetery is one of the top things to do in Buenos Aires. Like any great city, there are seemingly unwritten laws that divide the places commonly visited by tourists verses the places where locals frequent. Discover something beyond the tour bus and unearth the urban vibes of the Palermo or the Recoleta area. Both districts are better places to stay for travelers with a multitude of dining, shopping and boutiques to explore easily from your hotel. A night of tango might seem like one of the most incredibly touristy things to do in Buenos Aires, Argentina, but it is something that must be done. Now unless you hate all forms of expressive art, you will be moved to near tears when you experience the intricacy of this Argentinean work of art. There are so many tango houses to choose from but it is definitely one of the most culturally appropriate things to do in Buenos Aires. 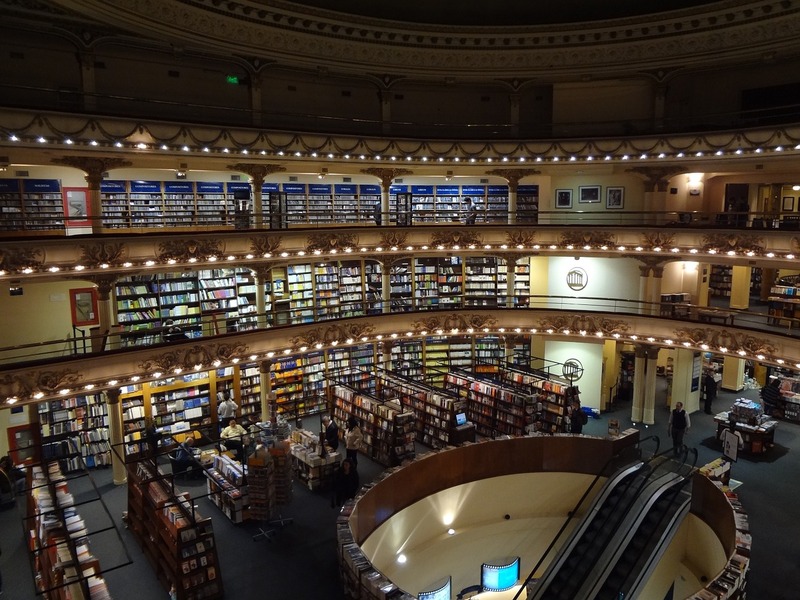 El Ateneo is one of the grandest bookstores in the world and worth a stop if art, literature or history strike your fancy. A top thing to do for culture buffs, this former theatre features 3 mezzanine levels, gold accents and artwork by Italian painter Nazareno Orlandi. If Buenos Aires is the Paris of South America, then it is no surprised this city also has an ingrained café culture. If you’re looking for things to do in Buenos Aires, consider a stop at Café Tortoni, more than a café and more like an institution of this city. 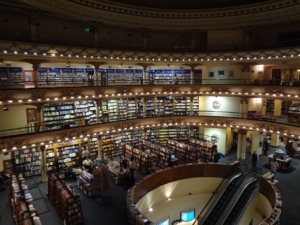 The café has held great esteem among writers, politicians and notable figures of Argentina’s history and not only can you treat your tastebuds, but also be entertained by the daily performances. No weekend trip to Buenos Aires is complete without heading to this open-air market that happens every Sunday. You will find antiques and an assortment of goods on display at this fabulous street market. But the real draw of this market in Buenos Aires, Argentina is the performances and music on display on every corner. Quintessential Buenos Aires at its best. Although the buildings of Buenos Aires are worth admiring, so too the city’s green spaces. Located in the Palermo neighborhood, a visit to the Buenos Aires Botanical Garden is a wonderful morning activity and an easy addition to any itinerary. Still not enough nature for you? Head 1km closer to the ocean where you will find the largest Japanese inspired garden outside of Japan. Still not enough? Then head further west to the Plaza de las Naciones Unidades (Park of the United Nations) where you will find the Floralis Generica. 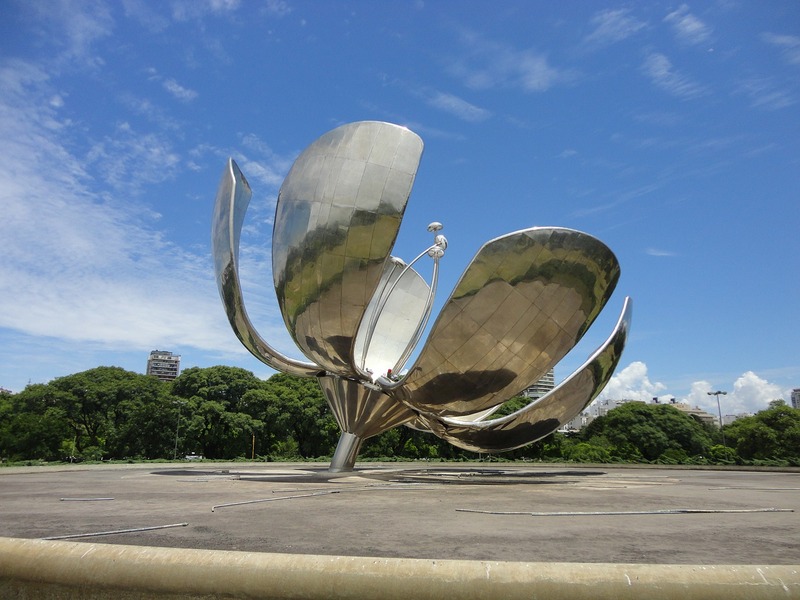 This steel flower sculpture is an undisputed icon of Buenos Aires Argentina, closing every night at dusk and opening every morning at approx. 8am. 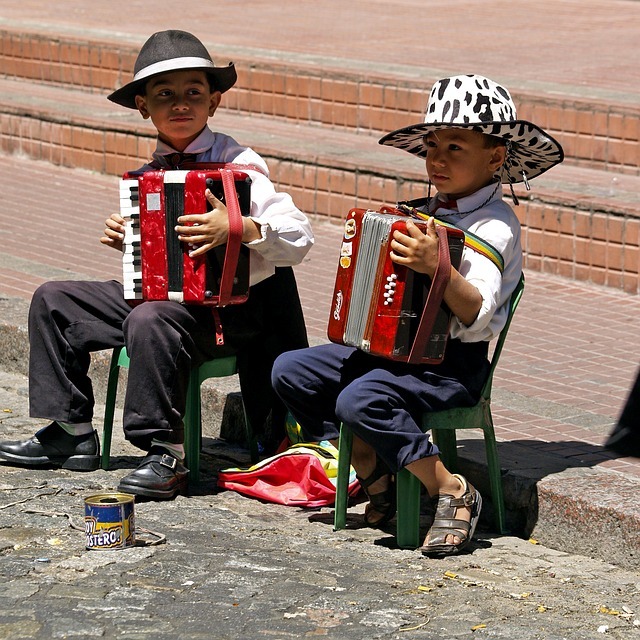 Probably one of the most popular streets in Buenos Aires, this open air street theatre plays homage to the glorious tango dancers and history in pure Buenos Aires style. If Buenos Aires or Argentina’s history intrigues you, then a visit to the Casa Rosada is in order. 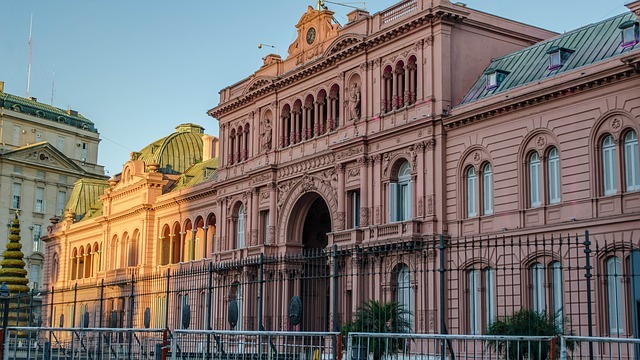 Translating as ‘Pink Palace’, the Casa Rosada is the political heart of the city; here you will find the Plaza de Mayo and the home of the Argentinean government. There are plenty of things to do in Buenos Aires Argentina for foodies too. As a grand producer of beef, Meat is unmistakably a staple of the Argentine diet, and is red wine. It’s not surprising then that Buenos Aires is a meat lover’s paradise and has been able to turn many a ‘sometimes meat eater’ into a ravenous carnivore. You will find ‘parrillas’ all over the city and while you’re indulging, why not go full Argentine and wash it down with a glass, or a few, of Argentina’s finest red wine – Malbec. As a burgeoning capital city with hundreds of years of history and culture, urban wanderers can easily lose themselves in many days of exploring this gorgeous city and highlight of South America. 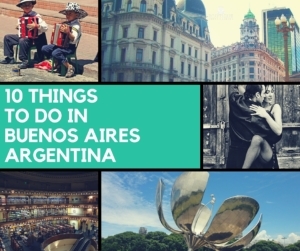 The above list is a sample of the various things to do in Buenos Aires, Argentina and is by no means exhaustive. These are only a starter and some suggestions and we invite you to discover your own Buenos Aires on your next trip.